Most people have something in their life that they enjoy collecting. That something that always catches their eye when they see it at someone else's house or out at the store. If you’ve noticed the past couple of years I’ve been trying to give up on buying things we don’t need but there is one thing that I just can’t give up. Lucky for me it’s a very practical item so I don’t feel so bad about purchasing my beloved crazy socks! Yup I’m a sucker for a fun, silly and crazy sock. I have so many different kinds. 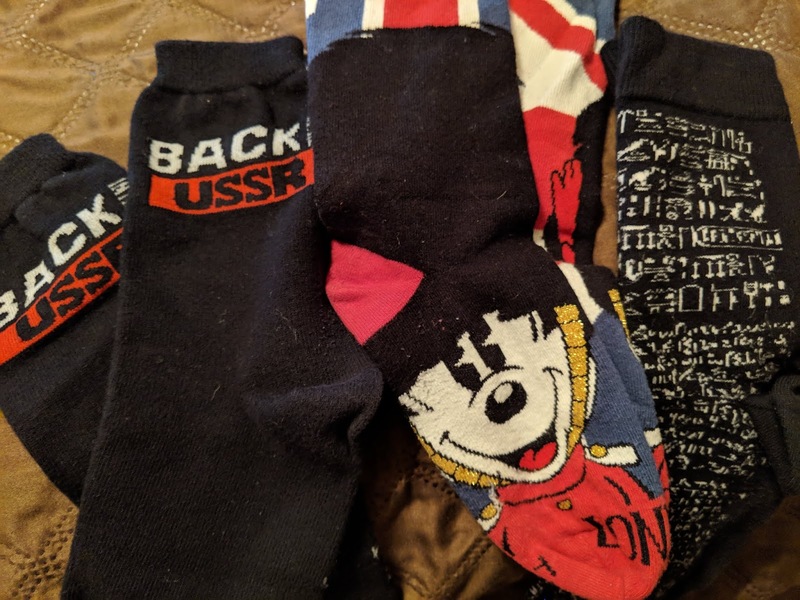 From Disney socks to socks purchased during trips to my Christmas ones. While it’s always fun to find a silly pair it’s even better when the fit of the socks is perfect and they become my favorite pair to wear. These bad boys are some of the few socks that I brought back from our trip to London. I was so excited to get the Rosetta Stone socks from the British Museum. They’re really the height of history and museum nerd fashion. It’s well known that I am a crazy sock aficionado so sometimes I get great additions to my collection from friends and family. These were added to my collection by my mom. Her humor surprises me sometimes but I love them. I think most people can relate to these socks at least some of the time. I have even had at least two pairs of socks that can trace their arrival in my collection as far back as high school. 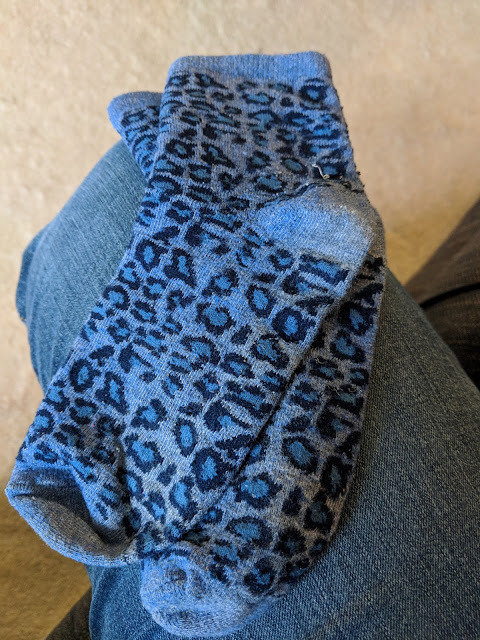 Yup these fabulous blue leopard print bad boys were a gift my sophomore year of high school from my flag corp secret Santa that year. They're from Delia's and everything! Peak early 2000s for sure. 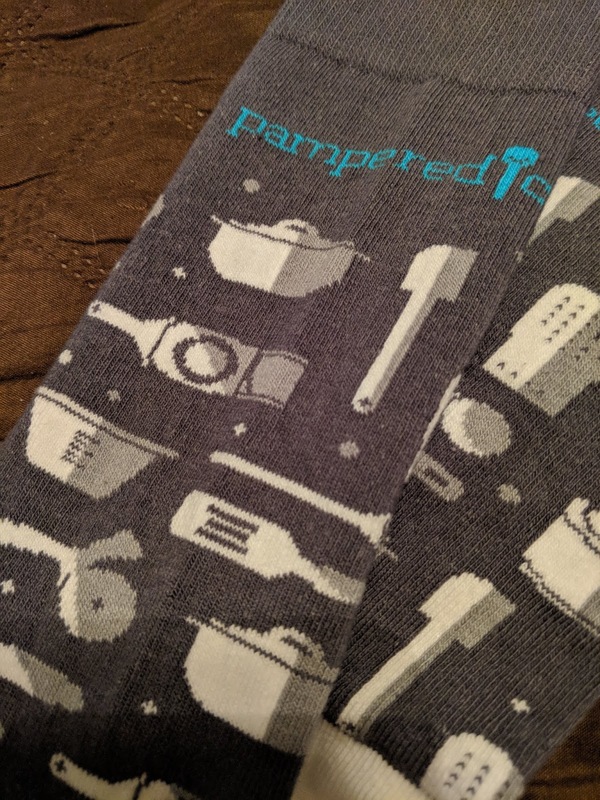 This summer I was able to add some official Pampered Chef socks to my collection as well! Found these bad boys at conference this year. Best part besides showing off my business they're a little taller so they're perfect boot socks. Of course I also have a sizable Disney sock presence in my collection. Would you expect anything less? Although the number did go up by a little last year when I added a gift set of 12 Disney socks on super clearance after the holidays. Being in Chicago and having to wear socks for a good chunk of the year you tend to wear a lot! One cannot have a well rounded collection of anything without something holiday related. Socks are no different! While it's gone down over the years my Christmas socks are definitely still some of my favorites. 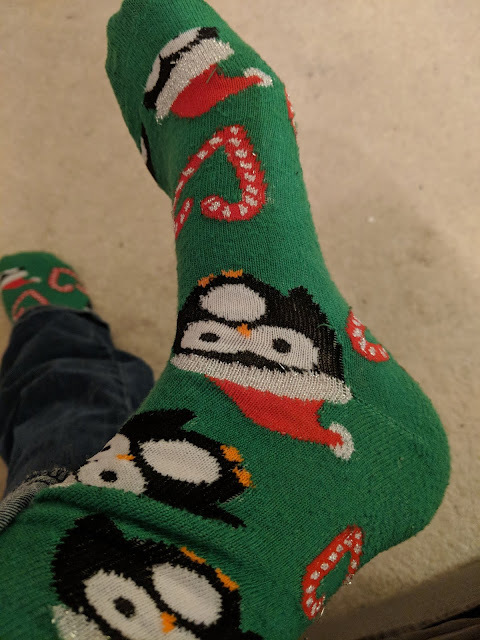 One thing I love about holiday socks is there are always cute penguins on them. I mean come on how cute are those pudgy little guys? Those are just a few of my favorite socks from my crazy sock collection. Do you collect anything? I love hearing about the interesting collections people have any why they collect. Definitely share!